Normally when you think about getting broadband, you're resigned to the idea that you're going to have to sign up to a 12- or 18-month contract. This can be extremely inconvenient, especially if you're moving house or if you're a student who only needs broadband in term time. Worse, you could discover you're not happy with the internet service provider (ISP) you sign up with or find a much better deal shortly after signing up to a lengthy contract! Disconnection fees are also generally pretty steep, so signing up to a broadband package can be quite a commitment. Thankfully, a new generation of broadband packages have arrived, namely short- and no-contract broadband deals, which provide much greater freedom. What can I expect from a short-contract broadband package? With more ISPs offering short-term broadband packages, competition is leading to lower prices. 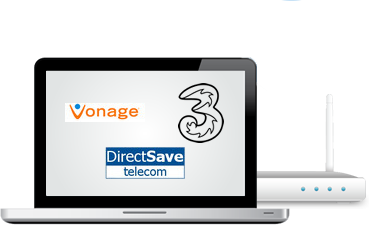 Check our short-term broadband comparison page regularly to ensure you don't miss out on our best deals! Want a short-term mobile broadband contract instead? Check out our compare page for mobile broadband deals.